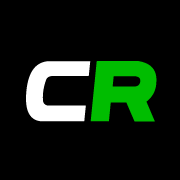 CrakRevenue is an adult affiliate network, specializing in camming content. Webmasters can promote a wide range of networks, most notably MyFreeCams. CrakRevenue offers well designed promotional tools, and great payouts of many of their offers. Here’s all the details on the CrakRevenue affiliate program. CrakRevenue supports revshare, PPS and PPL. The different commission programs offered will vary from offer to offer and at the discretion of their advertising partners. One camming affiliate offer might support revshare, while another might only support PPS, for example. If you’re looking for a specific commission program, there are plenty of different offers that will work with what commission types you are looking for. CrakRevenue primarily offers banner and pop ads for affiliates. These include some beautifully designed animated banners. The artwork available, as well as landers, will vary from offer to offer. Through the WordPress plugin, additional promotional tools become available. For example; you can automatically convert any exact-match text into an affiliate link. CrakRevenue also offers a Streamate whitelabel through their platform. Here’s a list of camming offers available to CrakRevenue affiliates. CrakRevenue is the only network that supports a MyFreeCams affiliate offer. MyFreeCams is a popular token-based camming site. CrakRevenue affiliates can promote both the revshare program, as well as the PPL program. CrakRevenue supports banners and pop-ads, as well as a deep-linking tool that allows affiliates to link to specific models chatrooms / profile pages. CAM4 is another camming site that can only be promoted exclusively through CrakRevenue. CrakRevenue offers a PPL program with the commission currently at $1.60 per signup. Accepted countries are USA, Canada, France, Germany, UK, Italy, Sweden, Netherlands and Switzerland. Stripchat is another offer supported by CrakRevenue. Crak offers a PPL program. If you want to earn a revshare, you’ll have to signup for the official Stripchat affiliate program, which offers a 20% revshare, as well as a model and webmaster referral program. If you’d prefer to get a PPL, or would prefer to keep all your offers under the same roof, CrakRevenue is the path you should take. ImLive is another camming site powered by CrakRevenue, featuring a very generous PPS. As of writing this, the PPS is currently up to $130! Crak supplies a wide range of animated banners as well as pop-ads to promote the network. There’s also a revshare and PPL offered via CrakRevenue as well. If affiliates are interested in more ad types, be sure to check out the official ImLive affiliate program. BongaCams is the camming site with the greatest amount of global traffic. With CrakRevenue, affiliates can promote their PPL program. CrakRevenue provides banner and pop-ads. If webmasters are interested in more commission structures and promo tools, be sure to check out the official BongaCams affiliate program. There’s also a revshare, PPS, webmaster referral and model referral. There’s also advanced promo tools including a whitelabeled site builder. CrakRevenue also supports Chaturbate, one of the world’s most popular camming sites. There’s a revshare and a PPL program available, however, the rates offered means that it makes a lot more sense to promote the official Chaturbate affiliate program. There’s a higher revshare and PPL program through their in-house affiliate program, plus more promotional tools to choose from. CamSoda is one of the newer networks and another site supported by CrakRevenue. The official CamSoda affiliate program is currently invite-only (although you can find a registration invite link on that page). If you’re rejected from the official CamSoda affiliate program, CrakRevenue is an alternative route to promoting the network. Here are some more CrakRevenue features. CrakRevenue offers a WordPress plugin for affiliates. This plugin makes it easy to manage ad zones on a WordPress site. Use widgets and shortcodes to display offers and manage pops and banners directly through the admin area. The plugin also has this innovative feature that can convert any string of text on the site into an affiliate link. This is useful for automatically creating affiliate links without having to manually create the hyperlinks. CrakRevenue also offers a whitelabeled site builder powered by Streamate. A whitelabel is where a product or service is rebranded. In this case, affiliates are able to rebrand Streamate as their own and make a revshare off all transactions that occur on the rebranded version. Streamate / CrakRevenue provides all the technical aspects of running the camming sites. Affiliates only need to drive traffic and collect commissions. CrakRevenue is constantly adding new affiliate offers to promote. These offers aren’t limited to camming. There’s plenty of other fresh adult affiliate offers and even some mainstream offers as well! New offers is a great way to shake things up and explore new revenue streams. It’s also very convenient to have these offers added to existing networks, opposed to having to signup for new programs. Become A CrakRevenue Affiliate Today! Ready to get started as a CrakRevenue affiliate? Signup today! The registration process is quick and easy and you can get started in no time! CrakRevenue is a leading affiliate network specializing in adult and camming offers. CrakRevenue features beautifully designed promotional material, great commission rates and innovative tools like their WordPress plugin and whitelabeled site builder. Promote all the top camming sites all within the same network.